It is a tragedy while the government and their leaders have been bragging on economic growth, national development, peace and prosperity after the dark cloud of civil war and brutality ended, many bottom-line people like the residents of Borei Keila have continuously been humiliated by such “development rhetoric”. Listen to the video clip below, a woman said “is this the development in the age of Decho?”. It is shameful for Decho to be heard like this. Hence, this plague has happened every where around the world, not only Cambodia, if the top leader is not having proper conduct and moral attitude in the Dhamma. Dhamma means rule of laws, not rule of personality. 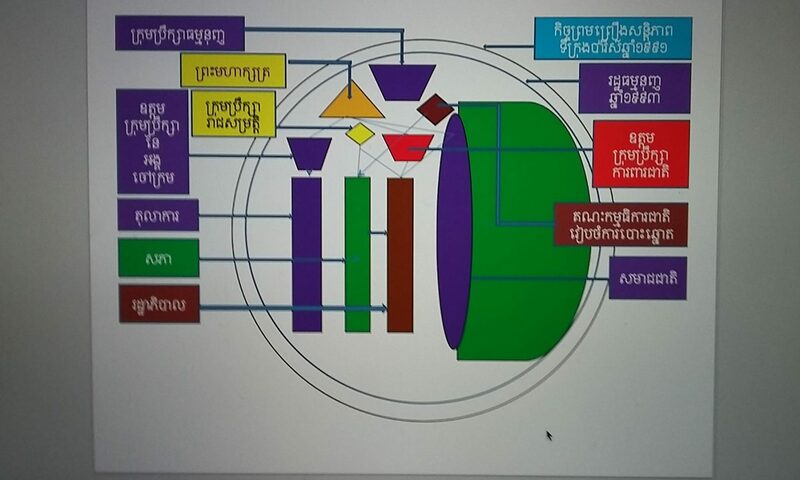 As our observation remarked, our Decho has always proliferated his personality to judge and decide all issues happening in Cambodian society. Buddha has been known as an Enlightened personality, but Buddha has never claimed himself as the central personality in deciding and determining any controversial issues. Dhamma and Vinaya which have been well promulgated for public use is the guideline, the tool for proper decision making and substantial rule for every one regardless of their status, entity or tendencies etc. However, Cambodian Buddhists are sadden and sad when their top leader has been using personality to judge and make a decision with all things. Recent public talk of Decho about ordering his Ohna colleague to arrest the violators inside his company who shot innocent protesters in Kratie because of their curiosity on the land grab, is not right on the proper practice of the Dhamma or the rule of law. Decho must follow the rule of law, he couldn’t use his prowess to overlapped or undermine the existing law. Cambodian law has solemnly condemned and punished those who committed violence and perpetrated illegal activities. Cambodian authority and Decho must use the prowess of the Dhamma/law, not the prowess of personality, in order to stop humiliating our own race and innocent Cambodian citizens.